A lot has changed at indie bible Les Inrockuptibles in the mag’s three-decade history: its owners, its editorial team, and some might say its journalistic credibility. But its annual festival has remained one of the few constants, delivering quality lineups of acts both established and underground year in, year out. 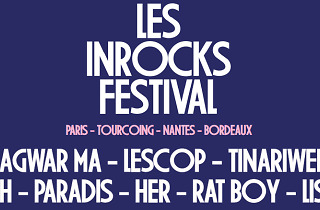 Focusing on independent rock music, the Festival les inRocKs also welcomes folk, soul, ‘world’ and electronic acts, always with the same aim: to introduce the public to the artists of tomorrow in affordable and respected venues like La Cigale and Boule Noire. Highlights from this year’s lineup include baggy Aussie psych band Jagwar Ma, the entrancing melodies of Malian Tuareg group Tinariwen and genre-bending teenage newcomers Let’s Eat Grandma – catch them all when they hit Paris this November. 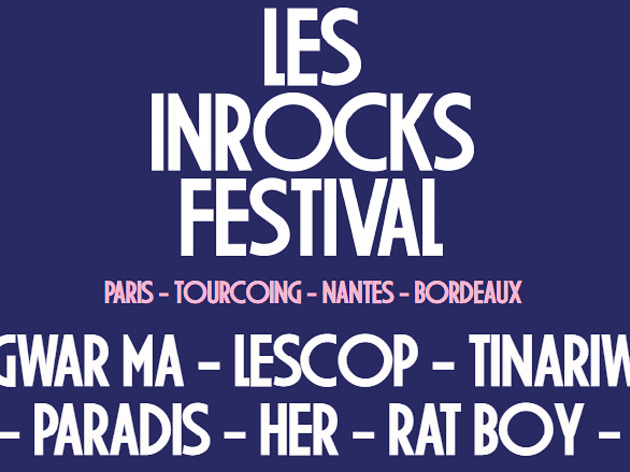 For ticket information and to see the full line-up, click here.